Conquistador has one of the most unique true black fleeces with the highest degrees of luster and incredibly long stapled soft handling fleeces we have seen in JET BLACK fleece. 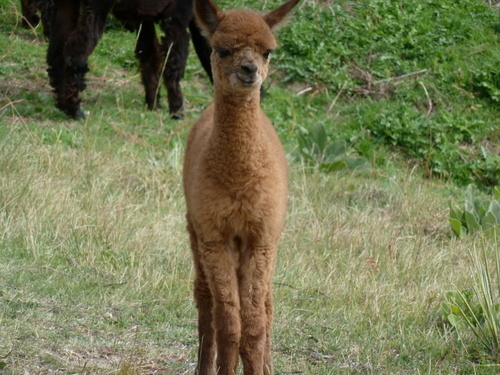 His first crias are hitting the ground now, come see what he's doing. I think you'll be impressed! Zoe is a very pleasant girl. 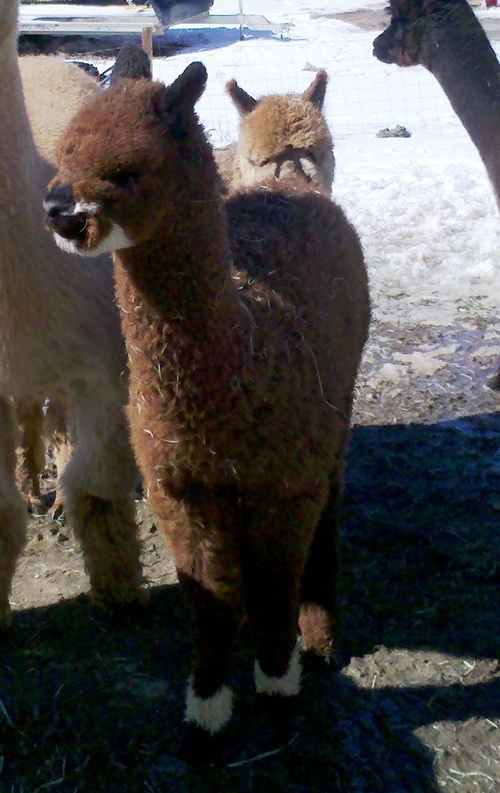 She has a white “star” in her top knot the rest of her fleece is that rich brown. Zoe is the dam of AVR The Buck Stops Here 2X Reserve Fleece Champion. 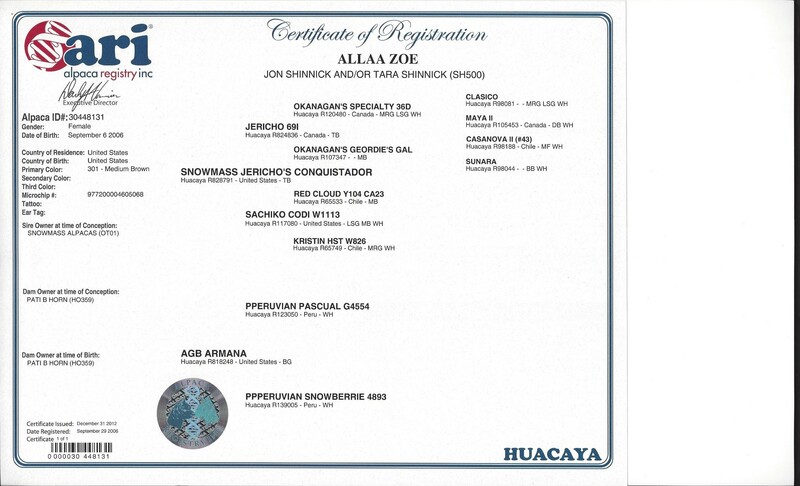 We were so pleased with her production we bred her to AVR General Patton - a true black male sired by CPeruvian Axtion Jaxon. 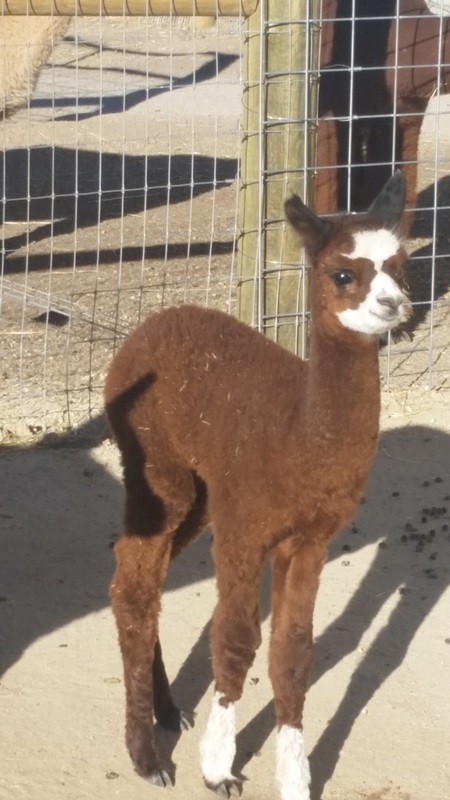 Zoe delivered a female cria (AVR Isabell) with corkscrew fleece and the cutest face! See pictures. 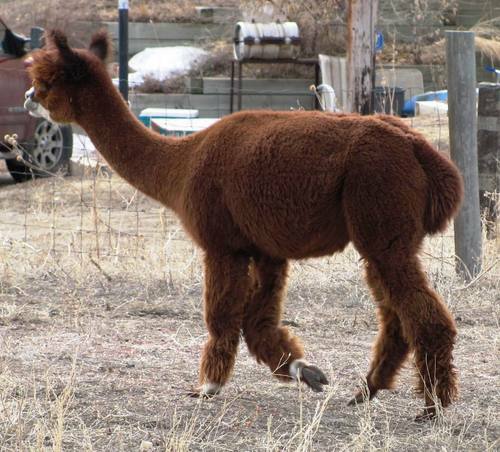 AVR Isabell won First place and Color Champion in Fleece at the National Western Stock Show 2014. 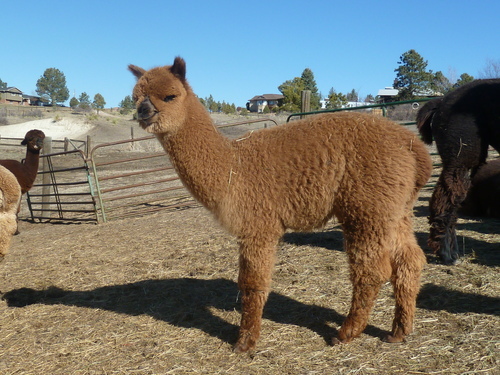 Zoe recently had her third cria sired by AVR Lunar Eclipse in October 2014 named AVR Hershey and another female named AVR Lola in 2015. We are looking forward to racking up the ribbons with these two. 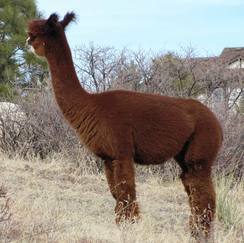 Transportation included within 50 miles of Alpaca Vista Ranch.